The world population is predicted to grow to 9 bn people over the next decades. At the same time it is expected that the demand for animal derived protein in the human diet will increase, with all known consequences for environment and climate. 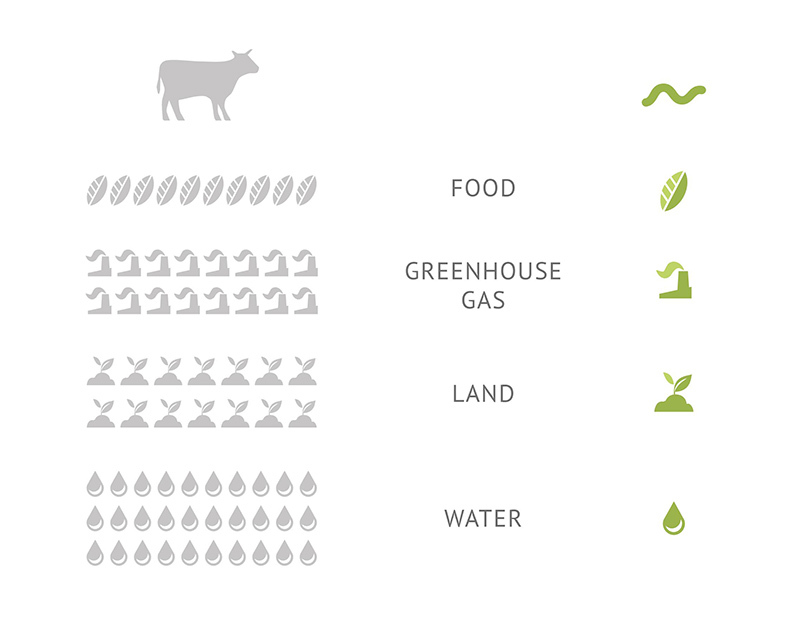 It is time to change the way we eat in order to preserve already limited resources. One possibility are insects as a sustainable and naturally efficient source of protein. Historically insects have been part of the human diet and according to FAO for over 2 bn people (mainly in the global South) insects are part of their regular diet today. In western diets insects are not eaten consciously, but are present as contaminants in our food, e.g. in chocolate, tomato sauce or ground spices.